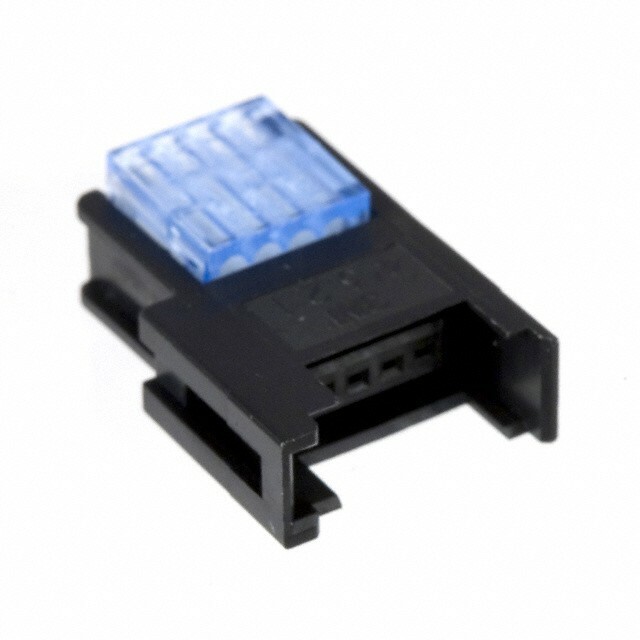 This is a 4-circuit crimp connector suiteable for use with individual wires from 20-24AWG. You just insert un-stripped wires, and then squeeze the connector with a small vise or pliers until the two halfs snap into place. We really like these connectors and the mating male ones for use in avionics bays where one bulkhead needs to be removeable to get access to the electronics. Since these connectors support 4 conductors, each can handle two ejection charge circuits, making them handy for redundant altimeter installations such as for a Level 3 certification project. We also use these when power switches like the rotary switches we sell are mounted through the airframe wall, instead of on the electronics sled. When we do this, we reverse the genders relative to the ejection charge connector, to minimize the danger of hooking to the wrong thing!